The C6P (ez360 Pano) stays sharp in the dark with the help of its four 850nm high-end LED infrared lights. Night vision with clear-as-day clarity up to 7.5 meters. 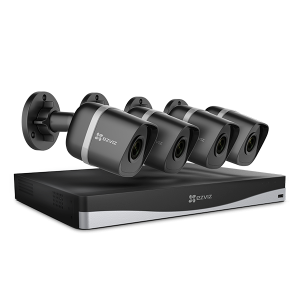 ez360 Pano is rated 4.6 out of 5 by 9. 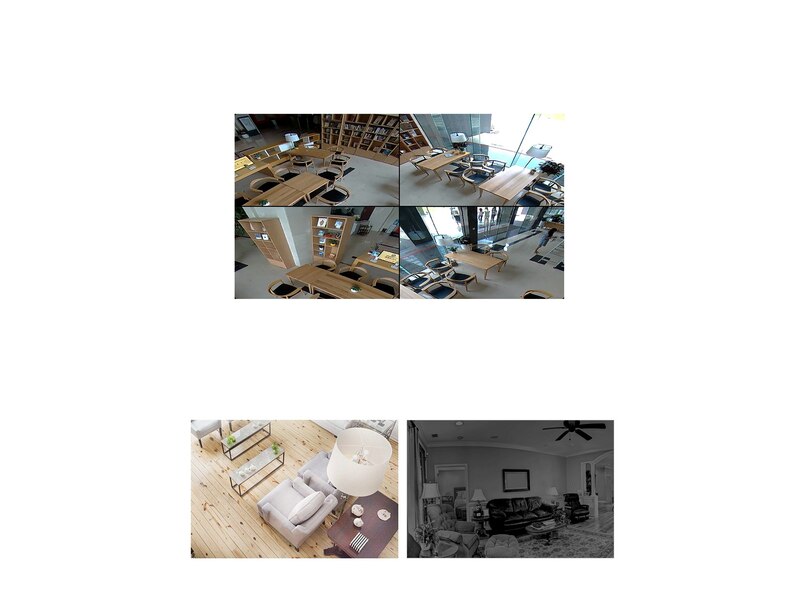 Rated 5 out of 5 by Jack Chu from Great surveillance camera with 360 degree view This is a nice indoor surveillance camera which offers 360 degree view. The physical size is quite compact and the modern design makes it easy to blend in most rooms. It works through the companion app "EZVIZ" which is available on both Google Play & Apple Appstore. 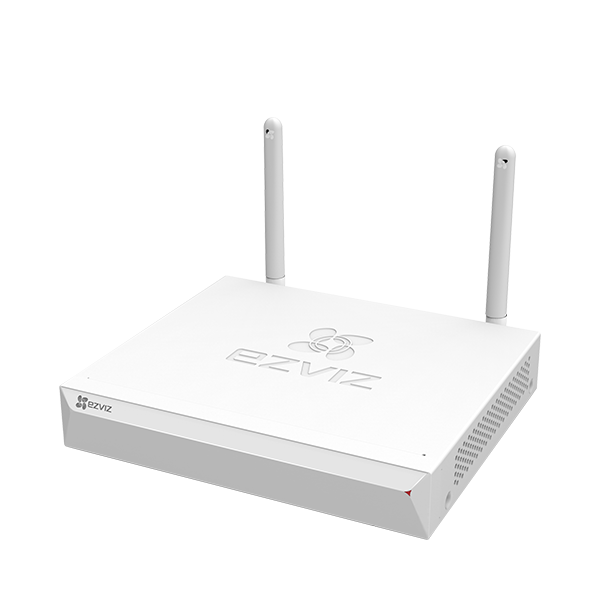 It offers 30 free trial cloud recording and also local storage onto mircoSD memory card (up to 128GB). I like that the APP offers a lot of options to check the footage. 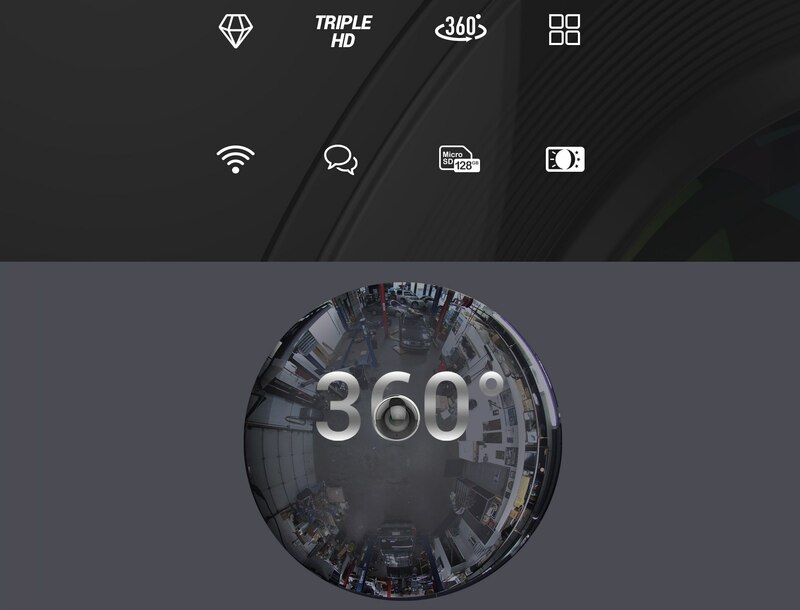 There are fish-eye, 360 degree view, split screen, and quad split screen views available in app to check all different angles at once. The quad split screen mode is very handy as I can move angles independently in each of the window. Rated 4 out of 5 by Kelly from Great Camera I'm really impressed with this camera and features! It was super easy to set-up and I love how you can constantly monitor the feed from the app. It has a clear picture and you can even view the history. My favorite part of this camera is how much of the room you can see-you can literally see the entire room. Although I do not have it mounted on the wall, I just set it in the corner and I can easily view the entire room, without having to adjust it or angle it a certain way. I do wish it was easier to view the feed on a desktop but it is at least easy to view on the phone. Overall, this is a great quality camera and one I would recommend! Rated 5 out of 5 by Les53 from High quality 360 camera After receiving this and getting it open it may have taken 5 minutes to get it set up and running. The instructions are clear and simple to follow. It went without a hitch. 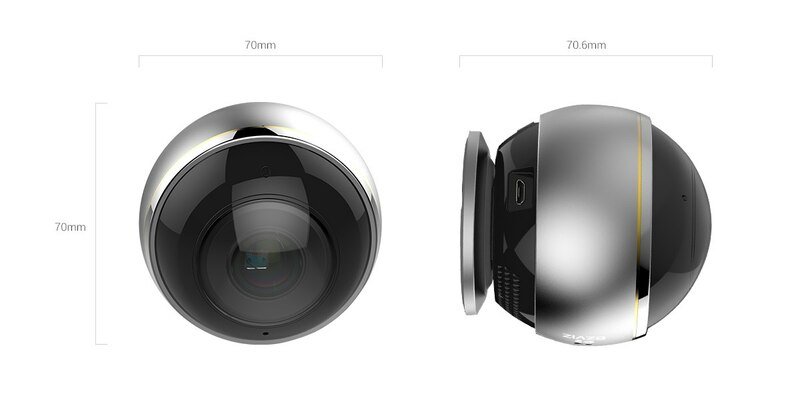 The image it produces is circular and indeed appears to be a true 360 degree camera. The image is very crisp and sharp. It looks and feels well built and has a heftiness to it that I like. My plans are to install it on a ceiling to be able to monitor 100 percent of the room. I completely recommend this camera. I am eager to get it permanently installed. Rated 5 out of 5 by Jballer89 from Great camera! Really discrete and amazing features So this camera is pretty cool. it is small and discrete and the pano feature is cool. i have mine nailed on a vertical wall. It allows you to do 4 quadrant view so that i can cover every corner of my rectangle living room. the app is easy to use and the video quality is actually incredible. overall i would say the camera is amazing and the only thing i would say i wish it had was alexa capability. I would definetelyyyy recommend this to a friend that wants a discrete and high quality video. 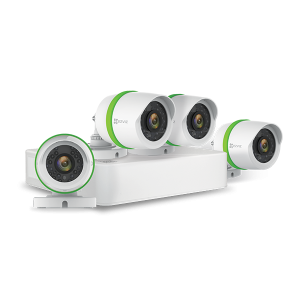 Rated 5 out of 5 by Sjshapiro from Very user friendly I am very surprised and impressed with these cameras! I bought 3 mini Plus HD cameras and this one the Mini 360 Pro. I have the 3 mini's setting inside windows to view the outside of my house. And the 360 inside. They were easy to setup and get connected to my Amazon Show. All the features are really great, including the night vision. I did turn off one of the indicator lights but only because it caused a reflection in the window. The only thing they are missing or I haven't found yet is being able to setup zones. Other than that, they are great! Rated 5 out of 5 by muttcity from I love this camera! This camera is amazing! I ordered this camera for indoor security for my house and as a pet-cam. Install of this product was super quick and easy, and only took about 5 minutes before I was up and running. The panoramic lens on the camera is great is great - you have the option to mount either on the wall or on the ceiling, and can really see the entire room. There is a panning feature, split screen feature, and others features to change your view to your liking. Typically there is a few second of lag time when watching video playback, but only about 2-3 seconds max. The resolution and picture quality is high, even in night mode. Pictures are sharp, and you can completely make out what is going on. The two-way built in microphone is a great feature. I've used this when my dog is home alone, and it is a cool added bonus. There is also a integrated micro SD card slot, which I have not yet taken advantage of, but is a great additional feature. The ezviz iPhone app is also wonderful - easy to use, and notifies me when it detects even slight motion. Overall - this is a great indoor camera. 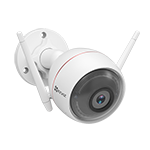 Rated 4 out of 5 by Sc1210 from Great for home security This is a great little camera for home security. The picture quality is better than I expected and setup/sync with the app was easy and painless. Its nice being able to pull it up on my phone and checking in on the animals while I'm away. My one complaint is that the power cord isn't long enough to attach this to my ceiling and reach the outlet, so I had to set it up on a piece of furniture. It would have been great if the cord was a foot or so longer. Rated 4 out of 5 by Mary from ezGuard 1080p camera review I received and tested this ezgard 1080p camera for free for unbiased review. First let me say the camera meets or exceeds the specs listed in the camera description. PROS > The 360 view lens is great and work as designed. > WIFI two bands make the camera faster. This is very good > Night vision and starlight sensor is excellent.. > Auto switching from night vision to regular vision is very fast. Excellent. > Builtin microphone hears great. Very clear and loud. Speaker is average. > IFTTT function works average. It would turn the camera on when I left home but fail turn the camera off on return home. > Photos and videos were very clear. > Very long power cord. Excellent > Triggering is very fast over WIFI to cell phone. 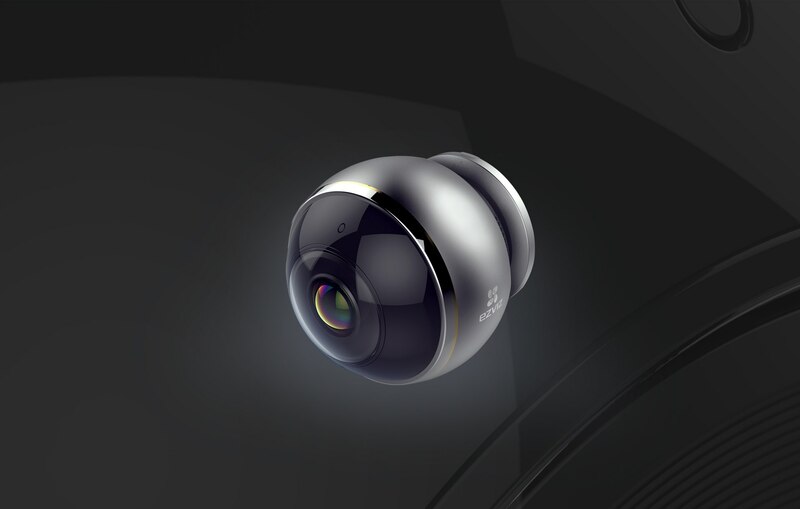 This is very good > I like the cloud save , playback and download CONS > The camera mounting system is very bad. Unless you are going to use the camera in a garage, basement or workroom. > The camera would take stills in all the modes but the saved data was always in the fish-eye mode. Vids were okay and saved correctly. > The camera case gets very very hot. So hot I was concerned. > The camera looks like a huge eyeball. I know that doesnt matter but its very distracting. That why you wouldn't use this camera in living areas. THINGS I WOULD CHANGE > Change mounting system . The system now restricts usage. > More venting to cool the unit. Would I recommend this camera. Yes, but only in garages, basements, utility rooms and non living area. Can I use this outside on my front porch? Plenty of room so that the weather won't get to it or damage it. Hi, when will the ez360 Pano release to sell in Canada? When will this be happen as I can't keep wait and wait without any idea about when. I am thinking to look into other brand right now. Can I connect to an ezviz NVR or does it require power from an outlet? What is the minimum temperature rating as my garage is not heated. 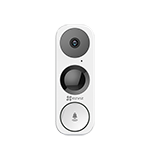 Hi, just wonder again will EZVIZ ez360 Pano release in Canada? Last time when I call in it said maybe April or May and now June is coming. Should I keep waiting for it or switch the idea and purchase other brands? Any updated? I bought this camera from Amazon Mexico.The product I received is in mandarin language. I've tried to connect the camera in different wi-fi signs without success. I receive this message: BIND THE ACCOUNT FAILED. THE DEVICE DOES NOT EXIST.